There's nothing quite as feminine and elegant as rose gold and this rose gold wedding band adds to the sophistication with dazzling round cut white diamonds! What a stunning wedding anniversary ring to show her how much you have loved her from the very start and will continue to love her years from now. This 2/5 CTW Round Cut Diamond Wedding Anniversary Band Ring is the ideal token of your everlasting love. 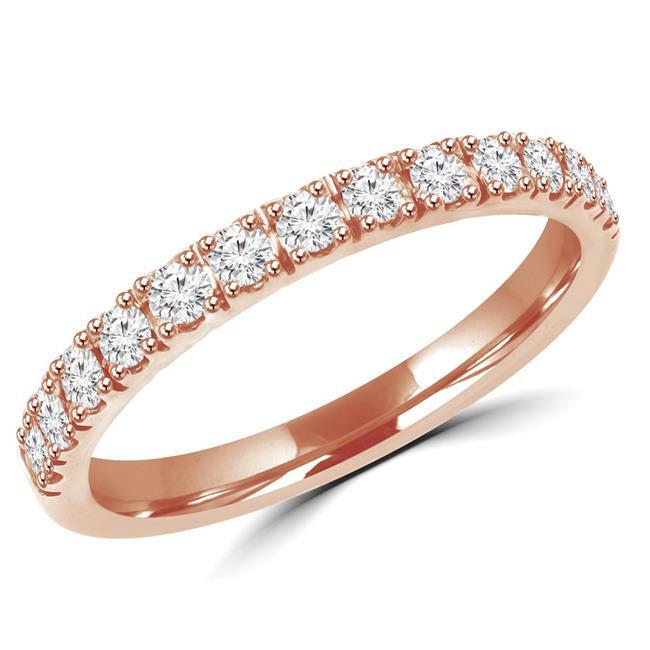 With 13 dazzling round cut white diamonds shining brilliantly along the ring's shank, this exquisite 14K rose gold wedding band has an F-G color range and VS2-SI1 clarity.